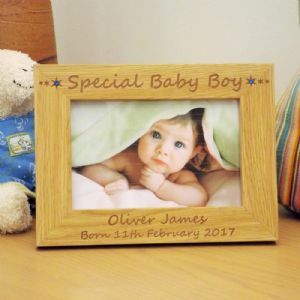 Personalised and engraved to order. 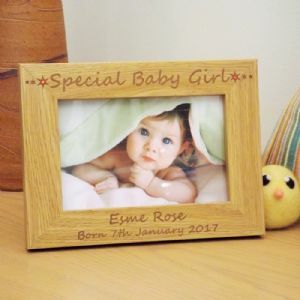 The perfect gift to celebrate the birth of a new baby girl, also ideal for a Christening, Naming Day or 1st birthday present. 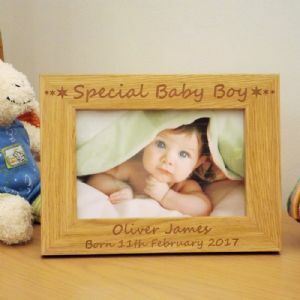 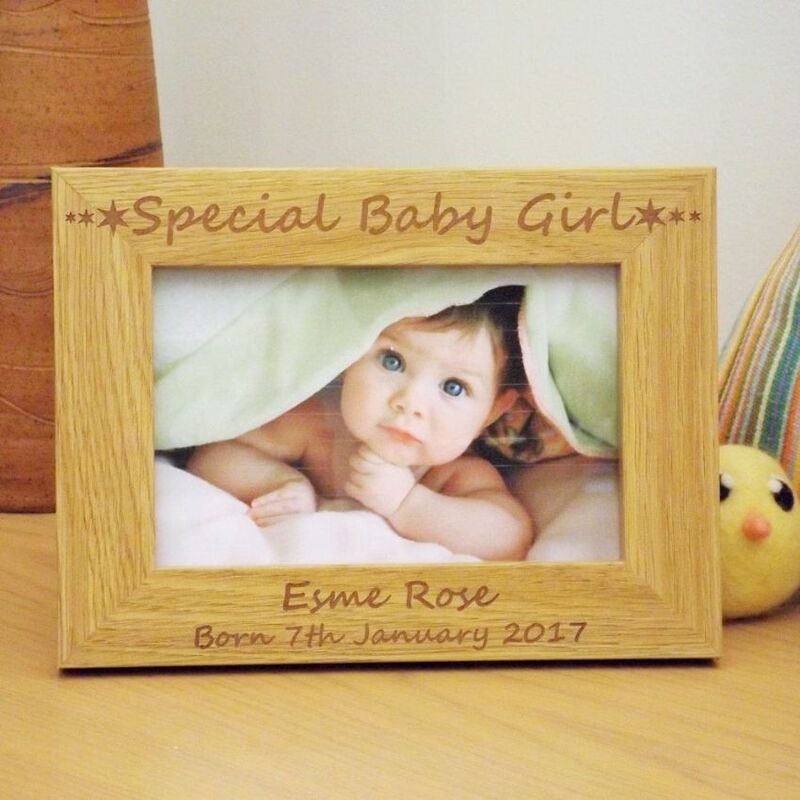 The top of the frame is engraved with the wording 'Special Baby Girl' with 3 stars either side.